‘Behind the Scenes’ marks the coming of age of Author Sharmishtha Shenoy in the world of crime thrillers.The author has I must admit come a long way from her first book in the Vikram Rana Series both in terms of plot and style. An engrossing thriller with the potential to keep one glued to the pages till the end, ‘Behind the Scenes’ takes one through a maze of emotions like love, lust, empathy, jealousy, suspicion and anger. It also brings forth the murky side of the film industry where money moulds souls, entraps the gullible and has the potential to ruin lives. Language is simple, crisp and lucid making for a smooth read. Yes there are a few typos here and there that need to be corrected. A nice thriller that nudges the detective in you to try your hand to solve the mystery, I’ll give this one a 4 on a scale of 5. AND THEN VANISHED WITHOUT A TRACE. HE IS BACK AGAIN, SEEKING HIS NEXT VICTIM. ONLY ONE MAN CAN STOP HIM – PROFESSOR BLACK. Maher was found unconscious in the middle of the highway and later, in the hospital, she revealed that she had escaped from a killer’s house. All the details and patterns matched the serial killer ‘Kansa,’ who had disappeared five years ago after murdering forty pregnant women. ACP Saargi Desai was assigned to the case. She appealed to her department to bring back Professor Black to help her catch the killer. The Professor, who had a haunting past that had kept him away from the world of crime and investigation for several years, was not willing to take on this case. But the ACP managed to convince him to get on board just for this one last time. Soon after agreeing to help, the Professor realized that for the first time in his life, he had met his match. As he dug deeper into the case, everything got dirtier, the stakes went higher, and nothing was what it seemed. Plot/ Story-line: Intense, haunting, fast paced and packed with some nail-biting moments, Kevin Prassant’s ‘Kansa’ is the story of a modern day Kansa who abducts pregnant women and kills them after child birth. What happens to the babies? No one knows. Why the cruelty? All are clueless. How come that the law is not able to apprehend the killer even after conducting more than forty abductions? To get the answers one must read this book the first in a three book series. There are umpteen hide and seek moments between the killer and those out to apprehend him giving the reader ample opportunity to play detective. The twists and turns are unpredictable and help in maintaining the suspense till the very end. This in itself speaks volumes of the writing skill of the author and the research that has gone into the creation of this story. Characterization: The characters are well articulated. The hunter and the hunted come across as highly professional which itself is a plus point when it comes to a crime thriller because it helps take the story forward smoothly without affecting the pace nor fabric. Professor Black is a dark and mysterious character who is a law unto himself. But you can’t help but empathize with him considering the circumstances that molded him thus. The best part is that even the supporting characters are well- developed and merge smoothly into the story. They are not idle spectators. Instead they contribute actively to taking the story forward. Language: Simple, crisp and lucid. Devoid of jargon and mind boggling technical terms. 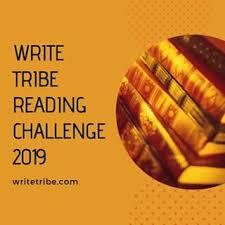 Pace: Fast paced, no slack moments, able to hold the reader till the end without giving room for an urge to take a break. Editing: A few typos here and there that need to be set right before the next edition is released. A veritable treat for the thriller buff, one you need not hesitate to pick up. It’s short yet filling. I’ll give this one a 4 on a scale of 5. PLOT: Interesting, intriguing and definitely ones that make the detective in you sit upright and try to solve the mystery. The needle of doubt points at many but each time the detective feels he has cracked the case something new comes to light making him once again take a fresh look at the same. Now the question is was I able to identify the culprits even before they were revealed? Well to be frank in the first case i.e. ‘The Mysterious Affair of the Lohia Mansion’ case somewhere all along,I had an inkling of what to expect. In the second case i.e. ‘The Sonia Sinha Case’ too I deduced correctly but then here it was just a few pages before the end. Overall I must say I thoroughly enjoyed the two stories. My personal favourite of the two? “The Sonia Sinha Case.’ It was more gripping and more complex. LANGUAGE: Simple, easy to understand and of course crisp. In short no hard nuts I mean in terms of usages. EDITING: Was wanting at some places. 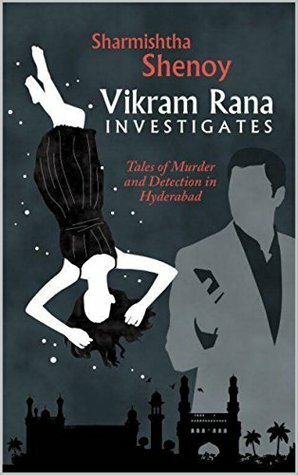 I also felt that there was no need to introduce Detective Vikram Rana once again in the second story. It somehow turned to be a stumbling block in an otherwise interesting and gripping story. An enjoyable read I’ll give the book 3 on a scale of 5. This is not a paid review. I was provided a copy of the book by the author in exchange for an honest review. My views about the book are my unbiased opinion formed after carefully reading it and are in no way influenced by the author or the publisher.